Watch the short video below to learn how to make this delicious style of sushi. Be sure to subscribe to Foodista Kitchen Secrets for more how-to tips and tricks! Junichiro Ise: Welcome to Blue C. My name is Junichiro Ise. I am a executive sous-chef here. Simon So: I am Simon So. I am the head chef in downtown Seattle. Junichiro Ise: So, I'm going to make the Gunkan style sushi, which is taking rice and then, knead it neatly, make the rice ball. Take the seaweed, roll the rice. Put the ingredient on the top. 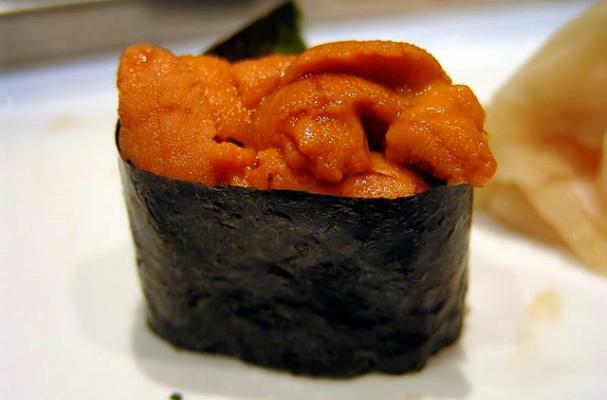 But this time, I use sea urchin.